With electricity prices continuing to rise, more and more people are wondering if solar panels are worth the investment. Choice has published a free five-page online buying guide that explains how to weigh up the costs of buying solar panels, and how to choose a panel and installer. 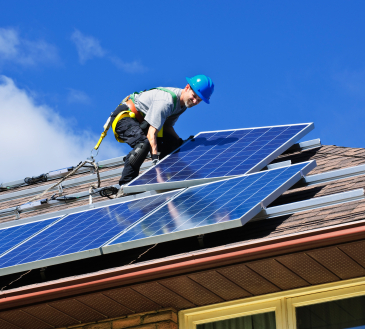 There are many factors you need to consider before jumping in - everything from which direction your roof points to the confusing topic of solar credits. Small solar panel systems have traditionally cost $6000-$7000 (including rebates), but systems are now becoming available for as little as $3000. A reputable dealer will help you calculate how long it will take you to realise a return on your investment. Your local council is also likely to have an advisor who can help you understand the costs and requirements. Choice is careful to point out that it’s cheaper in the short-term to make your home energy efficient. If renewable energy is important to you but you’re not ready to invest in solar panels, an alternative is to buy renewable energy from your existing electricity supplier. Choice says that choosing GreenPower from your current provider will add approximately $4-$7 a week to an average bill.